Forty-seven percent of Democrats or Democratic-leaning participants said Russia presents the greatest immediate threat to the U.S.
Sixty-eight percent of Americans believe Russia is unfriendly or an enemy of the American people, a nine percent increase from a year ago, according to an NBC News/SurveyMonkey poll. Poll data was collected before President Donald Trump’s Monday meeting with Russian President Vladimir Putin. 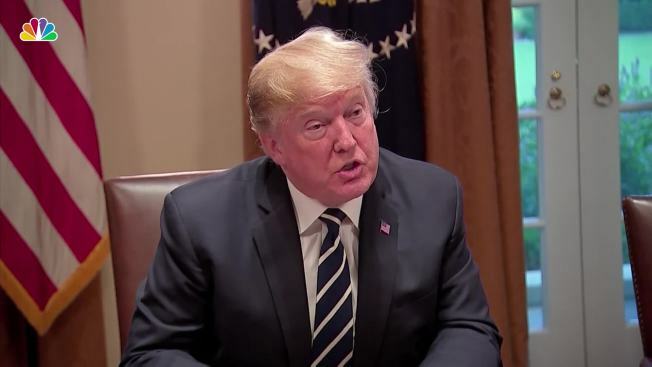 During a news conference, Trump came under bipartisan criticism for failing to back the U.S. intelligence community’s findings that Russia interfered in the 2016 presidential election. He attempted to walk back his comments Tuesday. Forty-seven percent of Democrats and Democratic-leaning participants believe Russia presents the greatest immediate threat to the U.S. Ten percent of Republicans said the same.